In the already decade old tradition and with the support from the Ontario parishes, Holy Transfiguration Monastery in Milton was host to the Diocesan Day celebration in Canada, on Sunday, June 3, 2018. For this occasion the Diocese of Canada was honored with the arrival of church dignitaries, representatives from Republika Srpska and Bosnia-Hercegovina, and nationalistic, cultural and humanitarian organizations and over a thousand faithful. 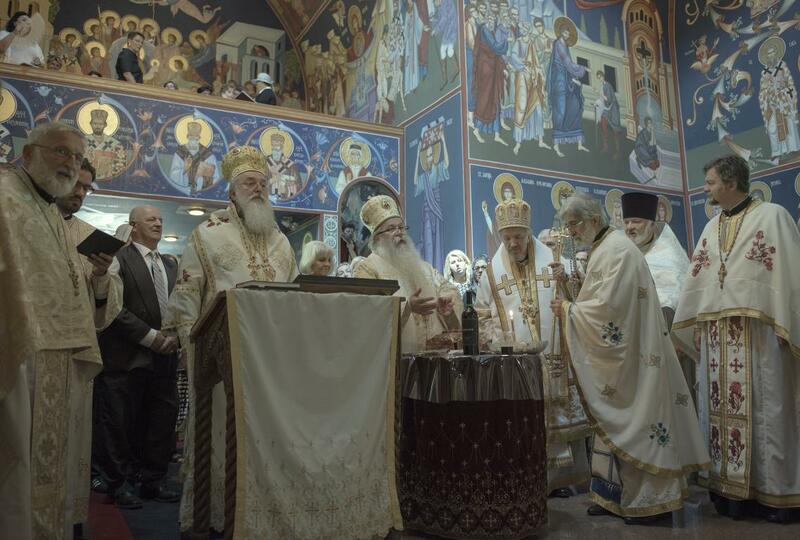 Diocesan Day began with the Holy Hierarchical Divine Liturgy at the monastery church, officiated by His Eminence Metropolitan Hrizostom of Dabar-Bosna, with the concelebration of His Grace Bishop Longin of New Gracanica and Midwest America and the host hierarch His Grace Bishop Mitrophan of Canada, as well as V. Rev. Stavrophor Rodney Torbic, retired priest of the Diocese of Eastern America, representatives of other Orthodox jurisdictions in Canada, and all the clergy of the East Canadian Deanery of the Diocese of Canada. St. Roman the Melodist Choir, from Holy Trinity Church in Kitchener, directed by Biljana Vazic, beautifully sang the responses at the liturgy. Metropolitan Hrizostom, after words of welcome by Bishop Mitrophan, addressed the faithful who filled the church, noting that this liturgical gathering is reason of pride for Serbs in Canada, but also a great experience for those who came as guests. Teaching about the role of a saint and prophet in the life of the Orthodox, the metropolitan stressed that the first followers of Christ were simple fishermen, but with the teaching of Christ, the grace of the Holy Spirit, they defeated the whole world. 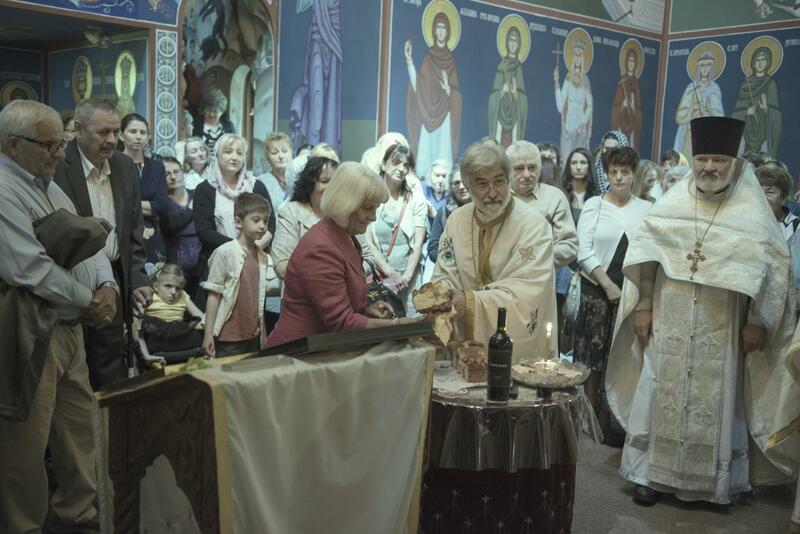 In continuation of the Divine Liturgy was the blessing of the Slava koljivo and the breaking of the Kolach on the occasion of the Slava of the Federation of Circle of Serbian Sisters. This year’s kumovi were Dusanka and Nikola Tubic from Mississauga. V. Rev. Stavrophor Milovan Sredojevic from Toronto and his family accepted the honors of being kumovi the following year. The Slava banquet was prepared in the summer pavilion after the service. Bishop Mitrophan addressed all those gathered, greeting all the guests, especially Metropolitan Hrizostom and Bishop Longin, his schoolmates from Monastery Krka, for making such a long trip in brotherly love. Bishop Mitrophan pointed out that everything that is successful in our lives – and in the mission of the church – is thanks to God and His mercy. He called upon all to continue to visit their monastery, churches and that they feel in them as if they are their spiritual homes. The General Consul for the Republic of Serbia in Toronto, Vasilije Petkovic, greeted Bishop Mitrophan, the clergy and faithful, who read a friendly and cordial greeting of His Excellency Mihailo Papazoglu, Ambassador of the Republic of Serbia in Canada, His Excellency Dr. Srdjan Lalic, the newly arrived Ambassador of Bosnia-Hercegovina in Ottawa and V. Rev. Nikolaj Boldirev, representative of Archbishop Irinej (OCA). Prayerful participation was also taken by Andjelko Krajisnik and Aleksandar Pantelic, representatives of the Serbian National Defense in Canada, Mile Popovic, president of Holy Trinity property in Binbrook, Petar Manojlovic, president of the Movement of Serbian Chetniks and many other church board presidents throughout the Diocese of Canada. 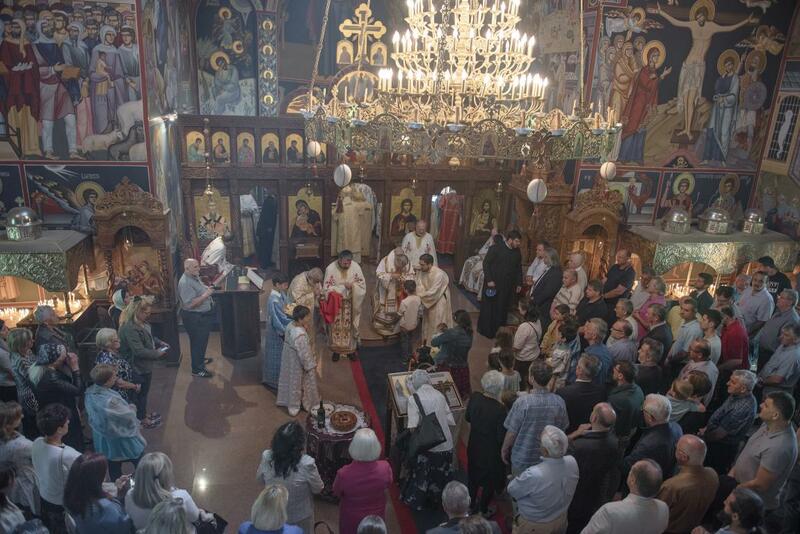 Bishop Longin offered inspiring words to the gathered faithful reminding them that our best connection with all that is eternal among the Serbian people is through our pure, ancient and Holy Orthodox faith. Congratulating Bishop Mitrophan on this feast he called upon all the faithful to strengthen their bond with God by coming to church more frequently and monasteries and partaking in the Holy Mystery of communion. Following the banquet over five hundred Serbian youth from thirteen folklore groups performed dances and songs in honor of the Diocesan Day. Taking part were groups from SKUD Oplenac from Mississauga, the Academy of folk dances Bata Marcetic from Toronto, St. Sava Oplenac from All Serbian Saints Church in Mississauga, Svetosavlja from St. Sava Church in London, Strazilova from the St. Sava Church in Toronto, Kosovski Bozuri from the St. Peter and Paul Church in Oakville. Despite the fact that the weather forecast was calling for heavy rains, God blessed us with a sunny day until the evening so that the celebration continued, accompanied by the sounds of the Party Band Orchestra, with kolo dancing until the evening hours.